I recently picked this up while winning other multiple items and scooped it for a real nice price. 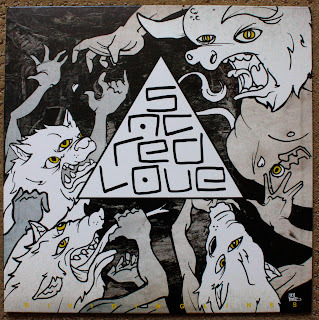 It's Sacred Love's - Dividing Lines on Red (/201). 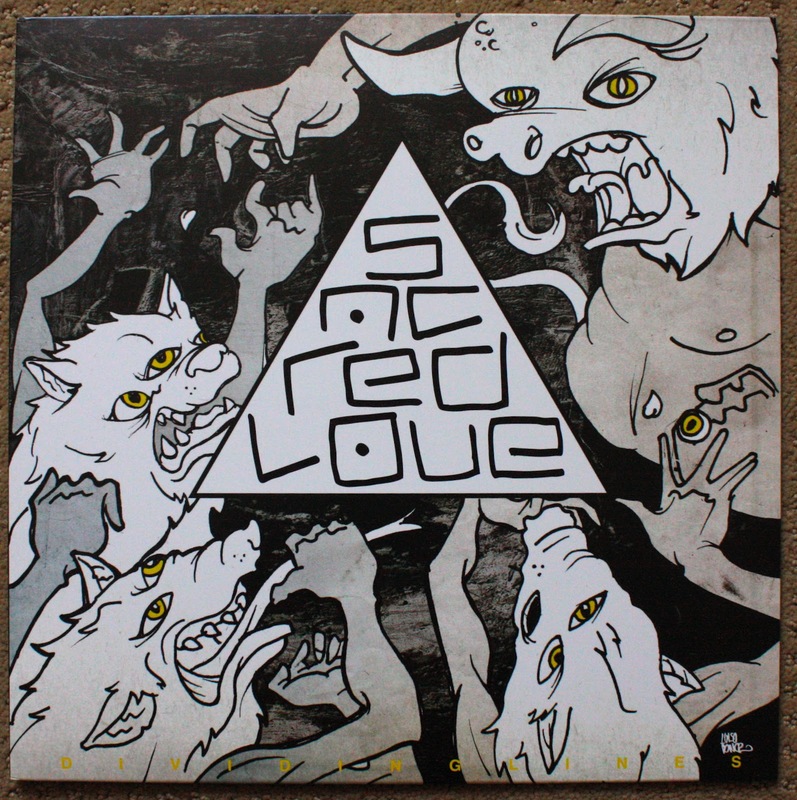 I don't know a whole lot about Sacred Love, but I got their 7" a while back and I really loved it, so when I saw this I jumped at the chance to get it on a limited color for under eight bucks. Knowing nothing about this release, I assumed it was a full length. As I took it out and released in shock and horror that, OH NO! 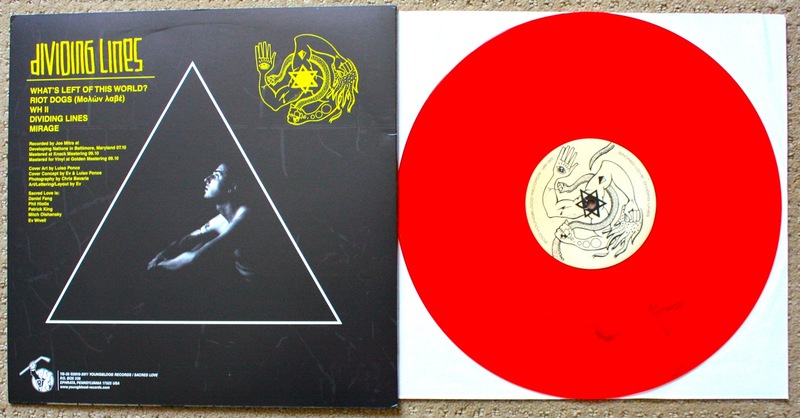 Another one sided 12" EP. What a let down. At first I thought the Take Offense 12" was kind of interesting, but seeing it happen again I'm starting to think less positively about it. Why not just release it on two different 7"s, that is right up our nerdy record collectors alley anyways right? I haven't had much of a chance to listen to this release yet, but at that price I can live with a one sided 12". Hey man, I think you may have won this and the Face Reality 7" from me on eBay? Seller name xmilestogox? Yup! Haha what a trip! Haha awesome! Sorry I didn't list the Face Reality as a Youngblood Showcase pressing. I sold these for a friend and only had the pictures at the time I listed them, so I didn't know it was the YB showcase press.